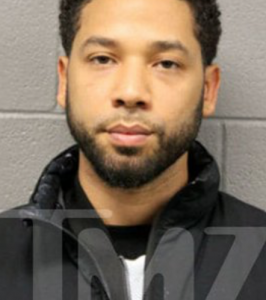 CHICAGO – Actor Jussie Smollett was abruptly cleared of all charges after his earlier egregious fake hate crime report, setting of a firestorm of debate on the matter. Jussie Smollett, age 36, who “stars” in a TV show called “Empire” is under arrest and in custody of detectives, Chicago police said back in February. Chicao police officials briefed reporters on the investigation prior to the defendant’s appearance in court. “Smollett took advantage of the pain and anger of racism to promote his career,” Chicago PD Superintendent Eddie Johnson said in the press conference. “Bogus police reports cause real harm. They do harm to every legitimate victim who’s in need of support by police.” He noted that Smollett’s highly-publicized fake claim of a racial/political attack could cause investigations into real crimes to falter. “After reviewing all of the facts and circumstances of the case, including Mr. Smollet’s volunteer service in the community and agreement to forfeit his bond to the City of Chicago, we believe this outcome is a just disposition and appropriate resolution to this case. After the stunning announcement, a firestorm of debate was unleashed on how a clear crime could be committed and yet, a perpetrator cleared of charges -16 felonies. Smollett’s attorney said on national TV Wednesday that they may sue someone for defamation or other for other reasons. If any of you idiots knew the facts, which you can find by googling ‘Chicago DA’s reasons for dropping Smollet case’ you might find the reasons the charges were dropped rather than spewing out your racist bs. Hey Matt-there were 14 post on this today. Now there are only four. Someone who doesn’t belong here is stealing from you. If he was a white celebrity who did this, the media and everyone else would be ruining his life. Yes him being a celebrity has something to do with it but him being a black celebrity is the real reason. I wouldn’t say black, more like brown, and homosexual. I would have said gay, but that also means happy. But then again, he probably is happy, because somebody got the charges dropped. One day the word black will be stricken from our vocabulary. It’s hell to be politically correct all the time. If this little jerk values his life he might need to move out of Chicago, cause everyone there is hating him right now. This double standard crap is just creating more haters. Actually it’s not about race as much as politics. Look at Hillary she’s walking free and broke many laws. The two brothers probably got money or being threatened, to drop the case. Obamas were involved. FBI needs to intervene. It doesn’t matter if Jussie Smollett was black,white, Latino, Asian – the fact that all charges were dropped is a travesty and injustice!!! What are they going to do with the two brothers who confessed their involvement – are they also “innocent”?!? *This dude is going to be in jail one way or another CPD isn’t going to let this go. Chicago PD was made to look the fools. The DA dropped the charges. My hopes are he walks out of court in Chicago free and the FEDS nail him for mail fraud!! He faked a HATE CRIME! This is the EXACT SAME SYSTEM that brought us Barack Obama. Mollett is black and Gay and one of Obama’s buddies according to the ideals of left wing he cannot be prosecuted!!! Really would like this POS do some prison time o TO 0 . Good – The new A.G. Trump appointed is pizzed off with fake BS and will file a federal hate crime against the snowflake POS.